The General Projects Department of Dubai Municipality has announced that 92% of the work on the Dubai Truck Market has been completed, the finishing process has already started and is progressing smoothly. The AED72.2m project is expected to be completed by August, complying with 100% green building rules. Abdullah Rafia, Assistant Director-General of the civic body, accompanied by senior officials from the General Projects Department, visited the market to confirm the progress of the project. Rafia said that the market, which will specialise in businesses related to trucks and their spare parts, will contribute to stimulating the national economy and will save time and effort for both customers and dealers as the market will provide new services to the community and businesses in this field. He stated that the market, located in Al Ruwayyah and spanning on an area of 421,000 square metres, will include 88 showrooms for trucks, 60 showrooms for spare parts and an advanced service facility that will cater to the needs of businesses, showrooms and customers. 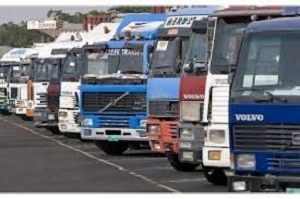 The market will also regulate the trade of trucks and spare parts of second-hand heavy vehicles through the implementation of regulations in the complex, the supervision of the specialised authorities of showrooms, and facilitating the arrival of traders from abroad to encourage the export of trucks and heavy equipment. “The Dubai Truck Market will also help with improving the aesthetics of the city by curbing the sale of trucks and spare parts on the roadside,” he added.